The European Commission has approved the UK's new tax credit but has revised the cultural test that decides which films qualify for support. The breaking of the deadlock that had delayed the incentive has been widely welcomed. The new tax credit - available to films spending 25% of their budget in the UK - is expected to be available from January 1. But the Commission has made significant revisions. Most obviously, it has shifted the balance towards cultural criteria - settings, subject, language etc - intended to enhance support for specifically British content . At the same time it has decreased the elements of the tax plan aimed to attract particularly US productions to shoot in the UK and use local facilities, no matter what the subject matter of the film. The desire to bring in big studio productions, which boost UK facilities, jobs and the wider UK economy, had been a major part of the original proposals. Even with the revisions, certain types of big money studio films are likely to benefit strongly - Bond and Harry Potter films should easily qualify. "The new arrangements work very well for the type of movies that are produced at Ealing, which tend to be films (in the £6-40m pound range) with a British subject matter for an international audience," said James Spring, MD of Ealing Studios. "Films, for instance, like St Trinians, which we're developing right now. The test seems almost designed for us. "Even a movie like Death Defying Acts, which stars Catherine Zeta Jones and Guy Pearce and whose £19m budget was financed from a variety of sources, would, I imagine, qualify. But even if you apply the revised criteria to bigger movies it works reasonably well." Nonetheless, there is concern that the plans will mean some Hollywood productions going elsewhere. "We need to know more but it does not sound like it is going to encourage the studios," said Harry Hicks, senior film advisor at accountants Grant Thornton. Robb Klein, a partner at European law firm SJ Berwin said the tax break remained attractive to those who reached the qualifying criteria. "It's still a pretty chunky rebate," he said but warned the changes made it "deliberately difficult for non-EU productions to qualify." Klein pointed out that there was now increased competition to attract such films, with many US states now offering incentives to keep productions at home. The shift to judgements on the basis of Britishness has also attracted criticism, particularly a new section on "cultural contribution" for the "promotion, development and enhancement of British culture." This new section attracts more points than those allocated to using UK locations and staff. "Can anyone tell me which cultural commissar is responsible for defining whether a film contributes to the promotion development and enhancement of British culture'" asks Mike Downey, managing director of London production company Film & Music Entertainment. "It's a bit like the Earl of Southamption telling Shakespeare he iswithdrawing his patronage because Romeo and Juliet is about Italians and set in Verona." The revisions were the result of months of negotiations between the European Commission and the UK government.The UK tax regime was announced in March this year and approved by the UK parliament but had been delayed in Europe. The European Commission was clear that the new tax regime had to be genuinely directed at supporting national cultural aims and adequately supported European co-productions. Competition Commissioner Neelie Kroes said: "The Commission is satisfied the UK film tax incentive complies with the conditions set out in its Audiovisual Communication. "As with other film support schemes which meet these conditions, we have been able to apply the cultural derogation to the general ban on state aid in the treaty." A UK Film Council spokeswoman said the approval of the tax incentive was welcome and it was awaiting further clarification. But Films Minister Shaun Woodward welcomed the breaking of the deadlock on tax. "This announcement is good news for the UK film industry. It marks the future for a successful, stable and sustainable film industry. 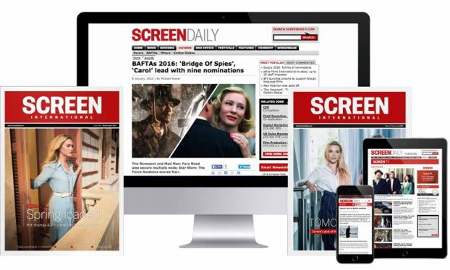 We have a film framework which will deliver for both the industry and audiences alike. "The film scheme will be good both for independent and large studio productions. The Cultural Test will ensure that every film qualifying for tax relief either reflects or contributes to furthering British culture. And it is good news for British talent, studios, locations and all those offering production facilities.